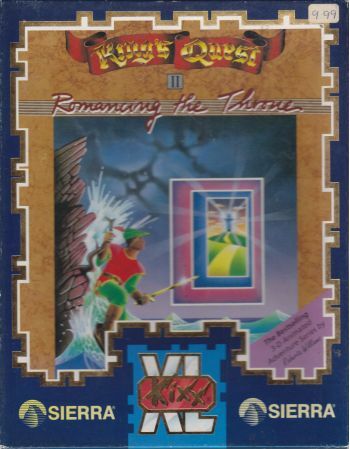 Continue the saga where King's Quest ended. The brave knight , Sir Graham, is now King and now must find a wife or his kingdom will fall into disrepute. He searched high and low but could not find a bride until a magic mirror urged him to save Beautiful maiden trapped in a quartz tower. Multiple solutions to mind-stretching puzzles. Enhanced sound effects and music.